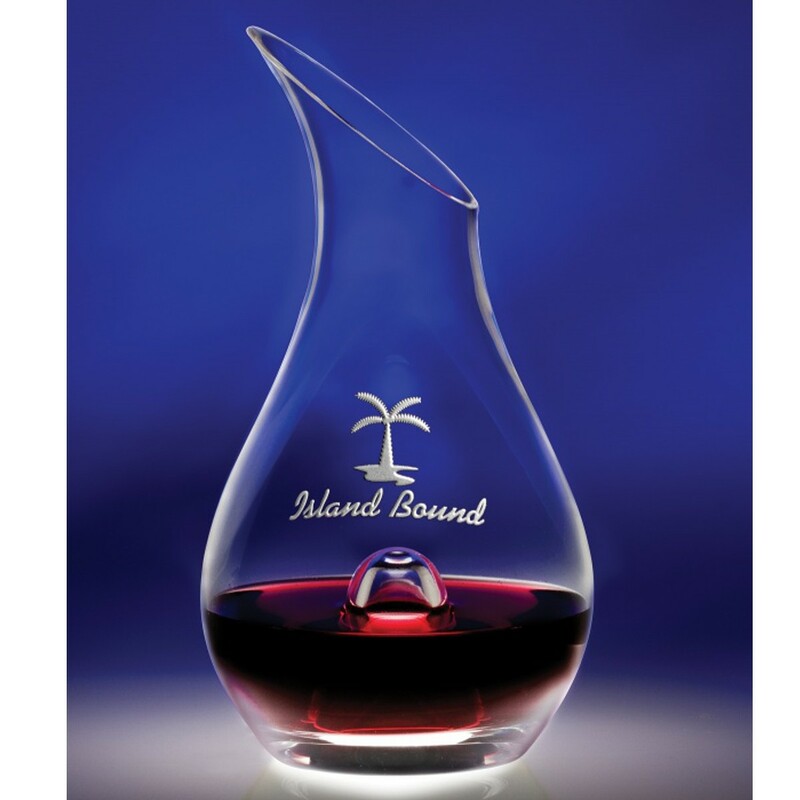 Our crystal clear Essential Wine Decanter allows you to see and taste your wine at it's best! This decanter features a classic pear shape, with a slanted opening for drip-less pouring. Engrave your logo for FREE - it's included in the price! This wine decanter measures 9.75" x 5.25" and holds 46 oz. of your favorite bottle. Production time for this product is 8 business day(s); expected pickup or shipping date is 05-01-2019.